Second issue of 6 of one of the better “Weird Menace” titles. 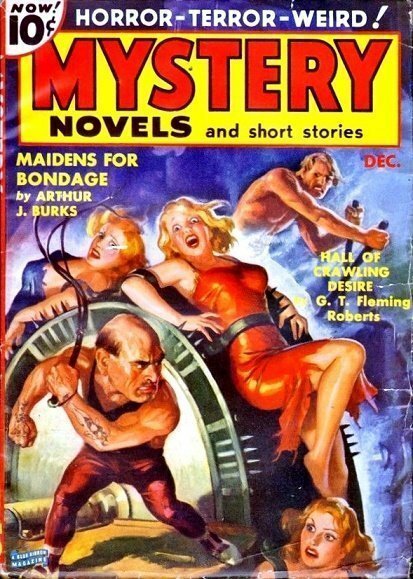 One of the classic “Torture on Wheel” Pulp covers. Even with the great cover Bookery seems high for an issue or even the title that’s not “Scarce,” or from the early-mid 1930’s.